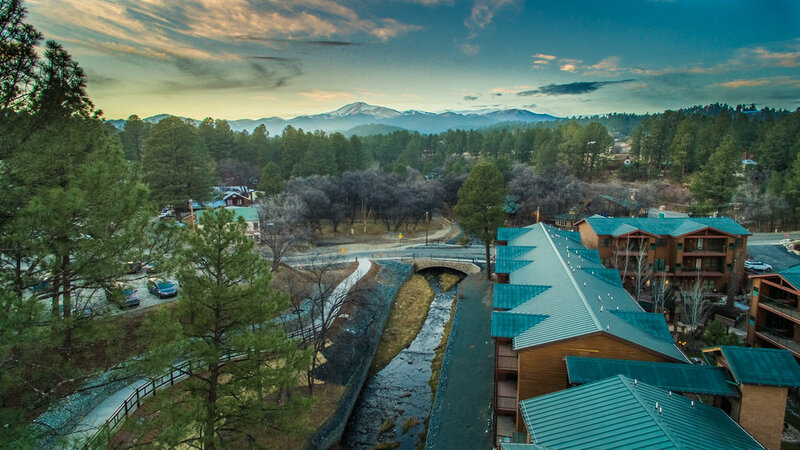 The Ruidoso Interceptor Sewer Project is a shared funding project that will improve the existing sewer lines from the Upper Canyon in Ruidoso, New Mexico, to the waste water plant. Sewer Line near Main Rd and Slay Rd to be rehabilitated and armored. Sewer line west of Country Club to be relocated out of the River. Sewer line west of Eagle Drive Bridge to be relocated out of the River. 2008 Hurricane Dolly caused extensive flooding in the Village of Ruidoso that damaged critical infrastructure, including the existing wastewater interceptor. 2008-2009 emergency repairs fixed the worst damaged segments, but the interceptor crosses and runs in close proximity to the Rio Ruidoso in many locations. 2009 Wilson and Company completed a Preliminary Engineering Report (PER) comparing various alternatives for addressing the vulnerability of the interceptor. The recommended project relocated the interceptor to Main Road in the Upper Canyon. 2010 Zia Engineering and Environmental completed an Environmental Assessment (EA) of the 2009 PER and reiterated that the preferred project alternative was to relocate the interceptor away from the Rio Ruidoso. A Finding of No Significant Impact (FONSI) was issued by FEMA in 2010 and the project was environmentally cleared to proceed. Around 2011, CH2MHill contracted to develop a 30% design based on the findings of the PER, EA and FONSI. 2012 - 2014 CH2MHill conducts extensive field work to investigate field conditions and develop the 30% Design. Preliminary construction cost opinions developed by CH2MHill estimated the cost of the project to be approximately $60 million. Project placed on hold pending further review by FEMA. 2016 FEMA agrees to a project budget, including costs shared by the State of New Mexico and Village of Ruidoso. 2017 Molzen Corbin hired to evaluate the 30% Design and revise the scope to be more affordable and within the scope of FEMA Public Assistance Grant requirements. May 2018 Molzen Corbin completes 30% Design evaluation and recommends value engineered project consisting of primarily repair and rehabilitation of the existing sewer line with additional in-river improvements designed to protect the sewer line from flood hazards. Design of the recommended project is underway.